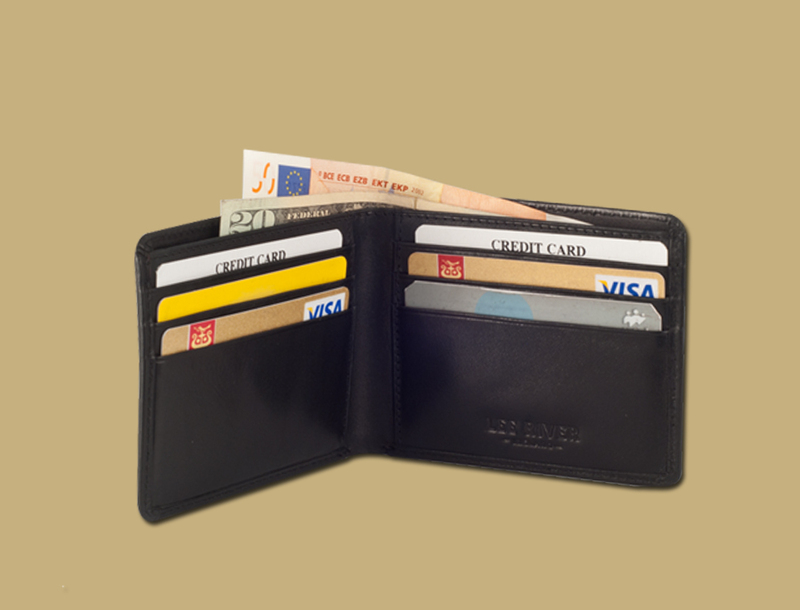 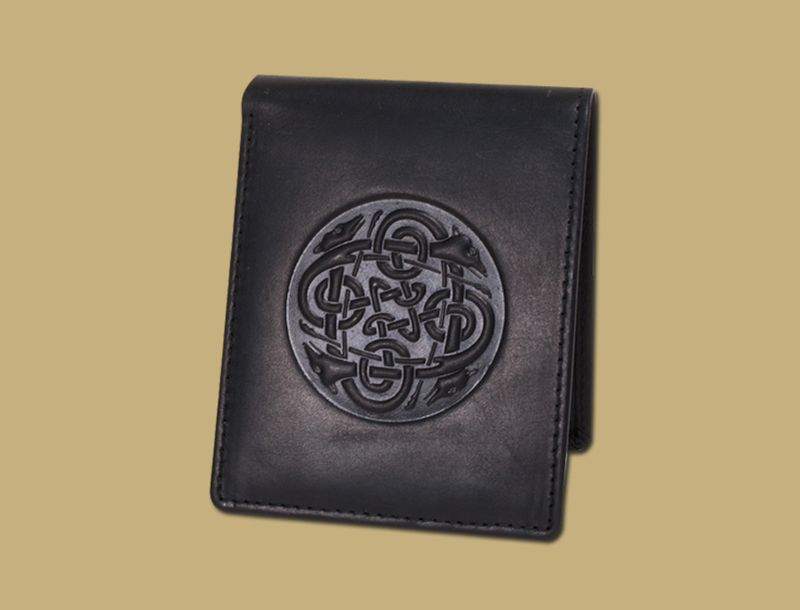 Cuchulainn Gents bi-Fold Slim Wallet in Matt Black oiled Leather. 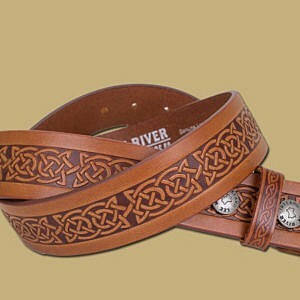 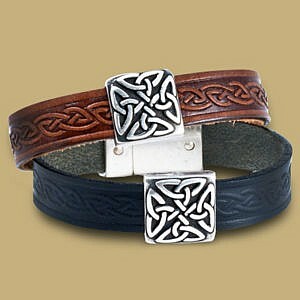 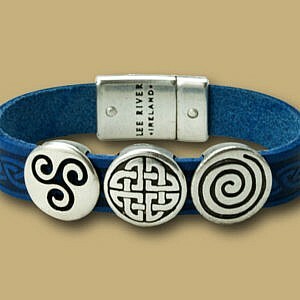 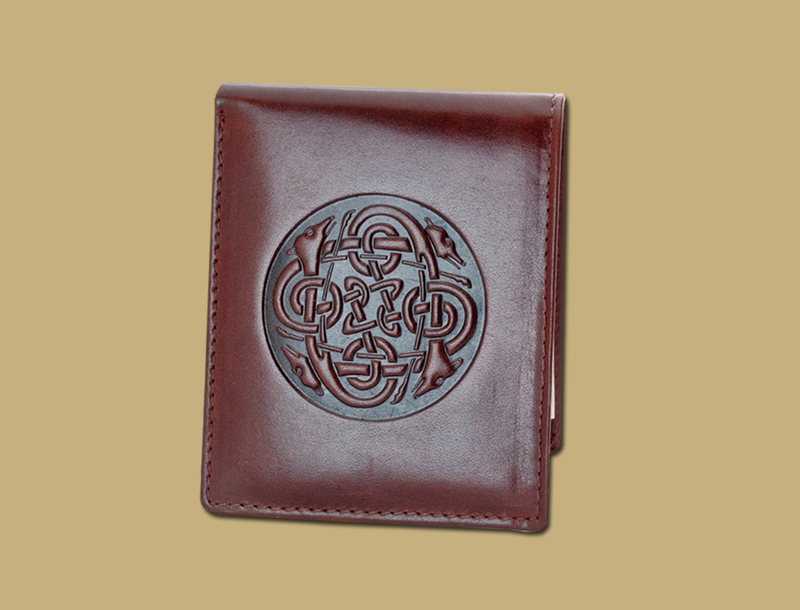 Featuring a zoomorphic Celtic embossing of 4 hounds, which contrasts well on the leather. 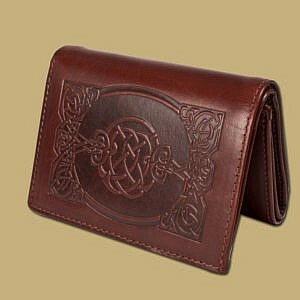 Holds over 10 cards with a dual currency slot. 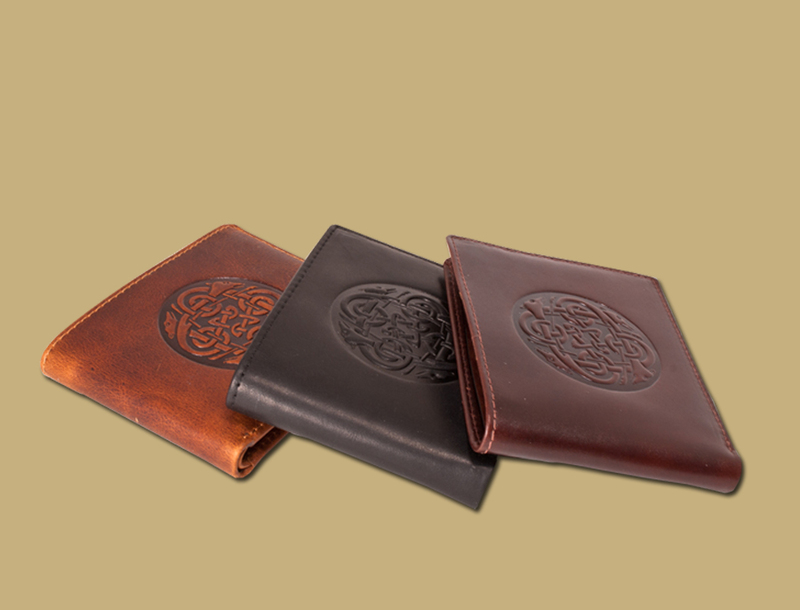 Cuchulainn was fierce fella in a scrap, and a mean hurler….Apparently.